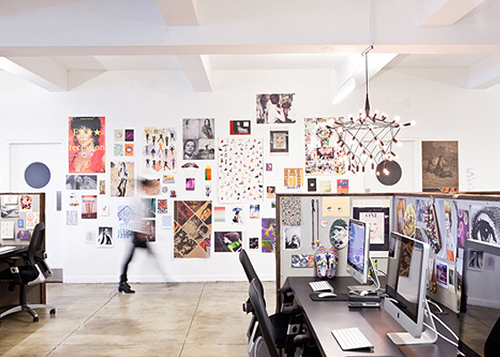 I found this very cool office space on Design*Sponge. 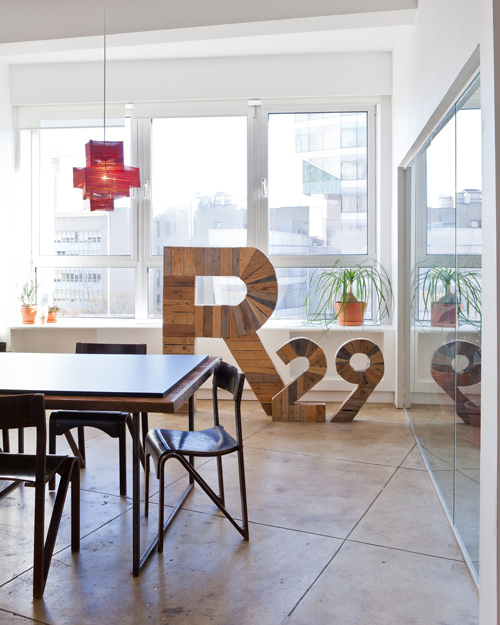 Fashion site Refinery29 just moved their 70-person team into this space in New York’s Cooper Square. 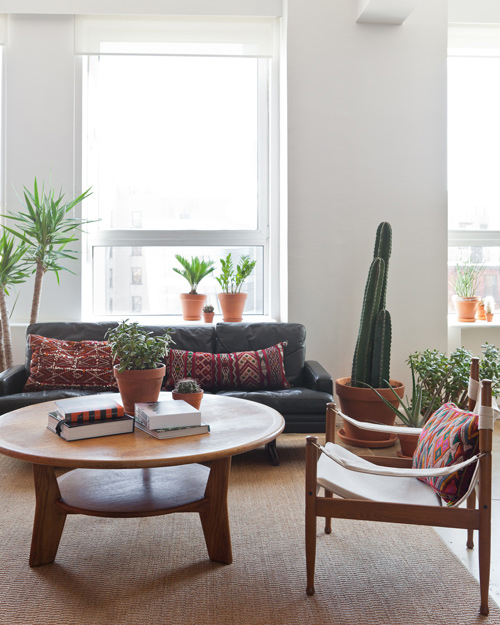 They worked with designer Chad McPhail to create a space that “balances clean-lined minimal elements with more rustic industrial materials to create a neutral canvas” to be filled with color and pattern. I think it is a wonderful idea to create a working environment that has cosy, ‘home like’ elements. All these lovely patterns! Love the lamp inthe last photo. 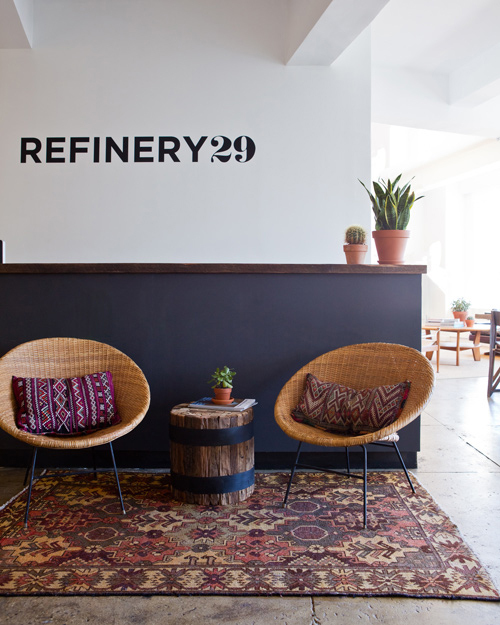 I like Refinery 29 <3. The office look awesome and so comfortable for work! Totally would be my kind of cubicle 😀 So much more motivating to work! Love this offices and those cushions are really incredible and it’s unbelievable that I’m seeing them here because I just came back from Marrakech a few days ago and they were everywhere that’s chic. I had to bring home some myself. I smile each time I see them. I love that everybody can add something of their personal touch to their workspace by hanging up some sort of picture or drawing.